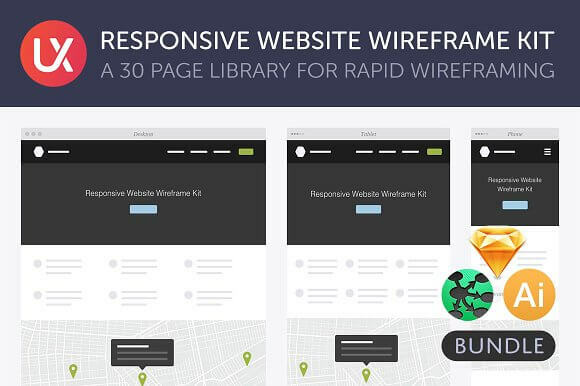 Our massive wireframe library has 30 pages of content blocks, website elements, icons, wireframe examples and templates. Every single component comes in 3 options to quickly create wireframes showing desktop, tablet and phone layouts. Our templates can also be used to create standard desktop-only wireframes. The kit includes 16 pages of wireframe components, 7 wireframe examples as starting points, 6 templates for different needs with built-in grids and notes, and a set of 77 icons.